In my quest for the most useless and time-consuming tools to do nothing important I came upon the need for a sheet metal dimpling tool. 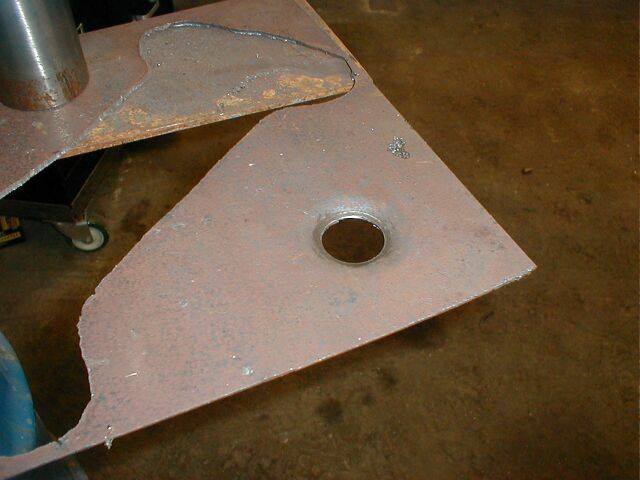 The purpose of this tool is to make holes in sheet metal look better by putting a bezel around them. 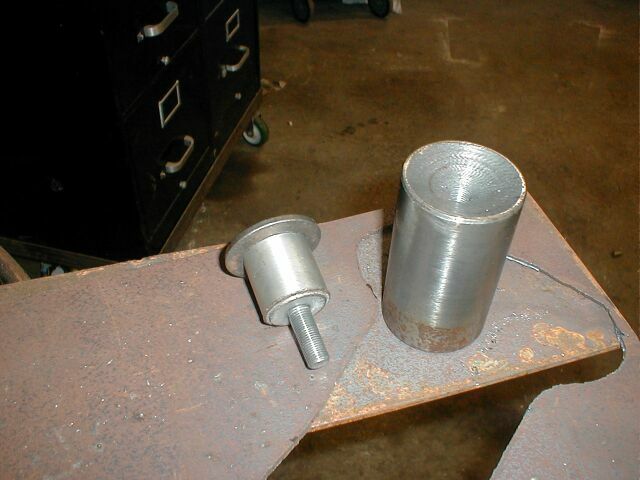 I started with a chunk of 2.5" solid rod and cut a 30 degree cone into one end. I then drilled and tapped a hole in the middle for a 1/2" bolt. 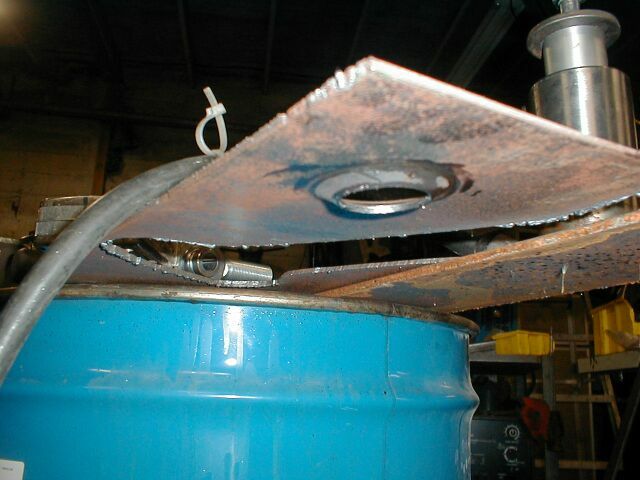 I then took a 1.5" chunk of solid rod and cut the corner out of it so the resulting 1.25 end section fits inside the 1.25" hole in the sheet metal and keeps it aligned while pressing. I then drilled the 1/2" hole in the center of the plug and assembled it on the sheet metal. A little twisting with the impact gun and Presto! Instant dimple.